We had the idea to start this business in 1996 when we were expecting our first child. While visiting the doctor during pregnancy and listening to our growing baby’s heartbeat with a doppler system, we desperately wanted to take the doppler home with us. We now have four beautiful children and we know first hand how exciting and reassuring it is to hear your baby’s heartbeat. 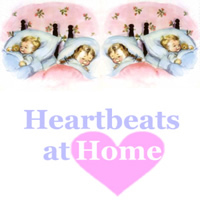 As a Heartbeats At Home customer, we pray for the health and well-being for you and your baby. We firmly believe in the value of every life, including those not born yet. Our family is active in our local church and in our surrounding community. We aim to glorify God in all that we do – from the way we run our business to the way we live our lives everyday. Our commitment and financial support to the Arnold Palmer Children’s Hospital will ultimately lead toward saving the lives of mothers and newborns. We hope you join us in our effort to make a meaningful difference in these lives. We are committed to providing you with the very best experience possible with the rental or purchase of our doppler system. Overall value is important to our customers and we will continue to do the little things to earn your business and loyalty. Customer service is something we don’t take lightly…It is paramount to us, and more importantly, we know it’s important to you. We welcome any suggestions you may have to improve our company in any way. On-line payments are completely secure, using a 128-bit Secure Socket Layer and advanced encryption technology. To ensure your privacy, we also promise to never allow access to your personal information and we will never sell or rent this information to any 3rd parties.